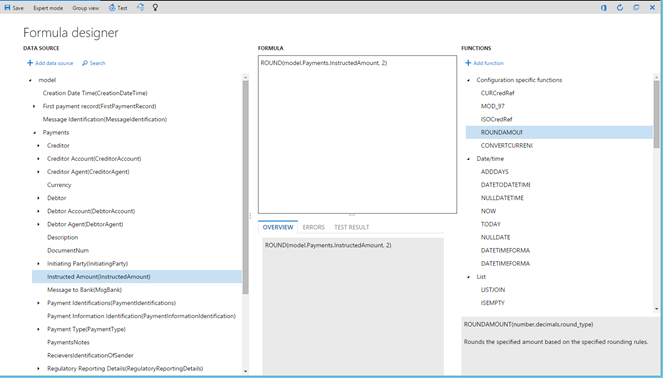 This topic points you to resources that you can use to learn more about the business intelligence (BI) and reporting tools that are available in Microsoft Dynamics 365 for Finance and Operations. 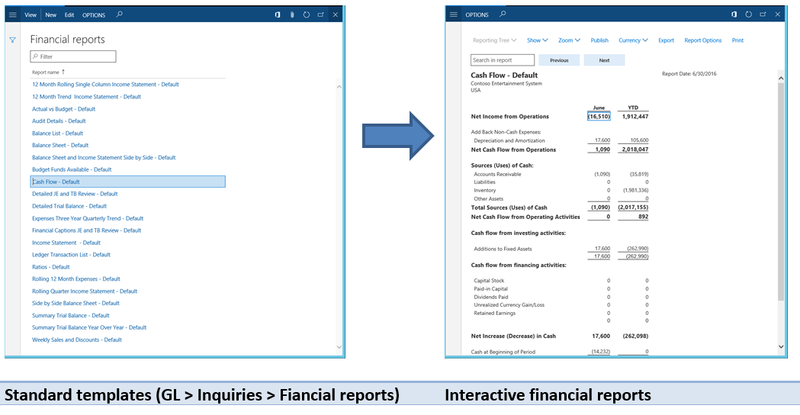 Finance and Operations delivers interactive reports that are seamlessly integrated into application workspaces. 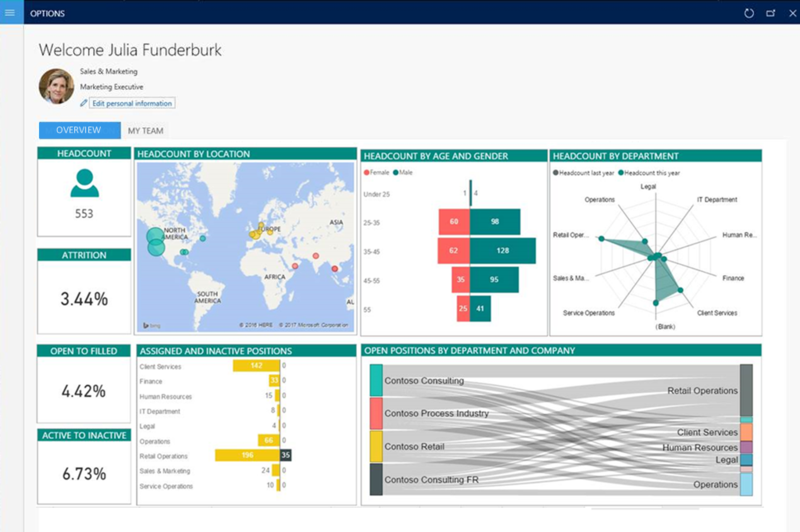 Workspaces can use rich infographics and visuals that are supported by Microsoft Power BI. These infographics and visuals include many controls that are provided by third parties. Therefore, workspaces can provide a highly visual, interactive experience for users. Users can interact with data by clicking or touching visuals on the page. They can see cause and effect, and do simple what-if operations without leaving the workspace. Thanks to stunning, interactive visuals, your users will have fun exploring data and discovering hidden trends. Reporting solutions are often used to capture and communicate the details of business transactions. Therefore, a reporting solution must be able to produce physical manifestations of business data by using existing devices, such as network printers. Examples of business documents include sales invoices, customer statements, and checks. Electronic reporting (ER) is the tool that you use to configure electronic document formats that comply with the legal requirements of various countries or regions. The applications of electronic reporting include financial auditing, tax reporting, and electronic invoicing. Standard financial reports are provided that use the default main account categories in Finance and Operations. 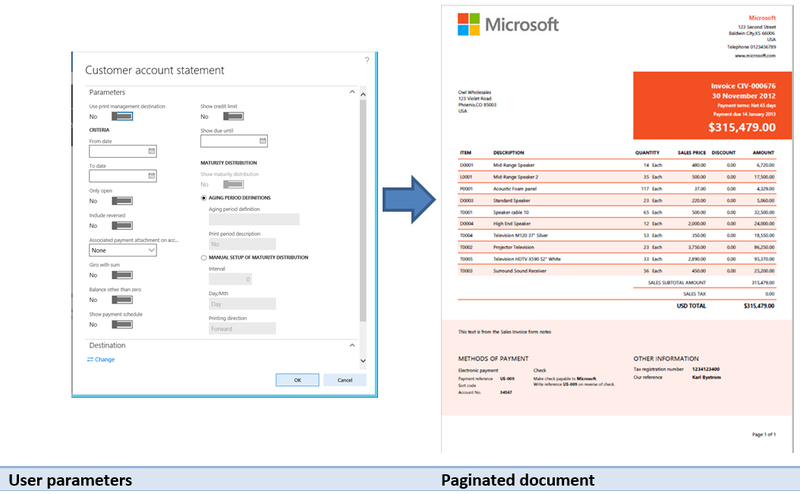 You can use the report designer to create or modify traditional financial statements, such as income statements and balance sheets. You can then share the results with other members of your organization. Examples of financial reporting include balance sheets, cash flow, and summary trial balance year over year.